Depending on what particular activities in Patagonia you are most looking forward to doing and enjoying during your trip, there are different times of the year when you should visit. Here at the Helsingfors Lodge, rooms are open between the months of November and April which is ultimately the best time to visit Patagonia. This covers much of the spring, summer, and fall months of Patagonia, which each include a range of activities and reasons to visit! From September to early December, Patagonia is in spring bloom. The snows off the glaciers begin to melt and freshness descends upon the region. While temperatures can still be cool, a benefit during this time is that the winds are often far calmer than usual. One of the main benefits to visiting at this time of year is that there are generally fewer people than in the summer. This results in a calmer, more peaceful experience. 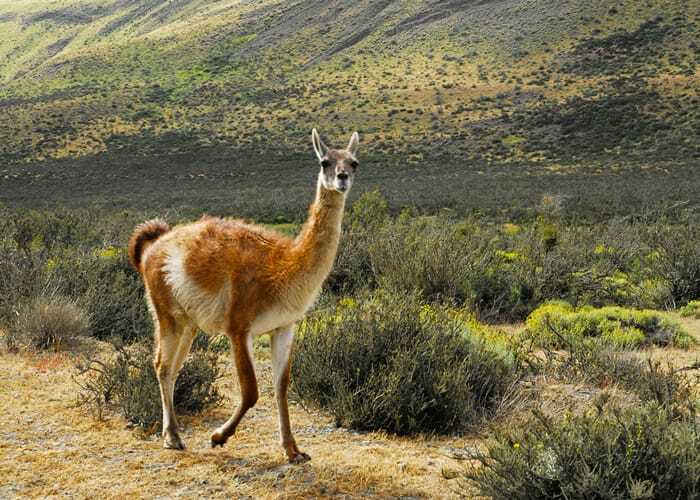 However, a major reason you may want to visit Patagonia in spring is due to the wildlife and animals in the area. With diminished human activity, you’ll likely see far greater numbers of local foxes, birds, and other native Patagonian creatures. 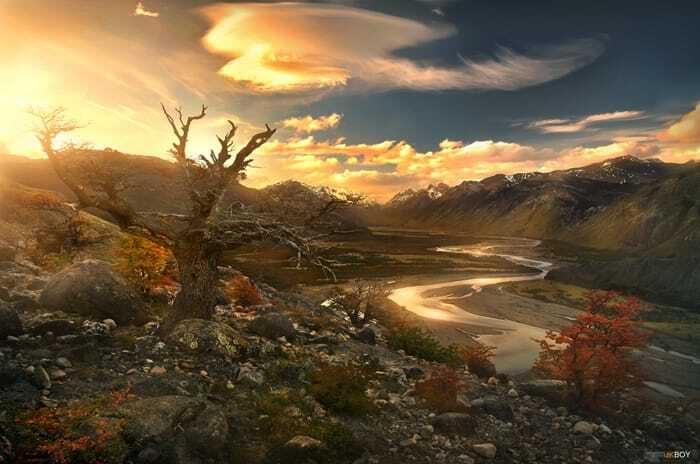 December to February are the peak summer months and is considered by many to be the best time to visit Patagonia. Temperatures are at their highest and you’ll be certain to have practically every possible trail and park open to you. 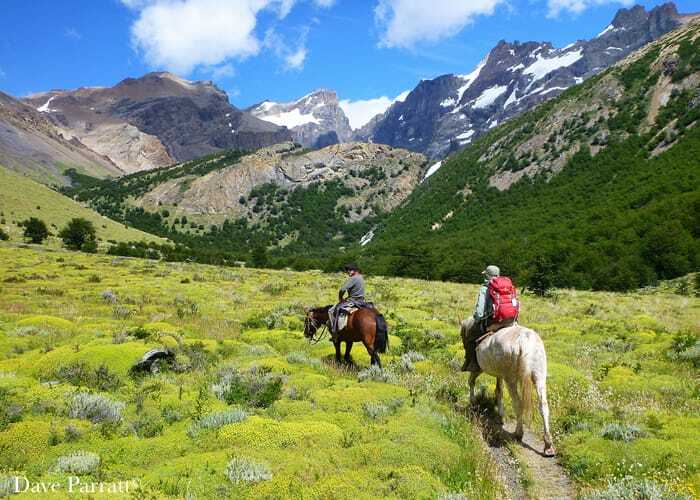 This is also the best time of the year in Patagonia for various outdoor activities like kayaking and horseback riding. And while this is the busiest season for tourists, that is still a far cry from what you’d see in most places during the peak travel months. 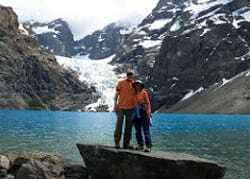 Patagonia is so remote that even during this summer period, visitors will have great peace and tranquility. You’ll just have to say hi to a few more people on the trails as your paths cross. With elongated days and warm weather, the summer is most people’s favorite & best time to visit Patagonia. 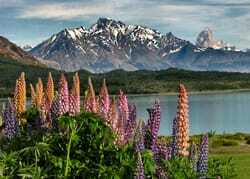 Quite like with springtime, visiting Patagonia during March or April has its many benefits. 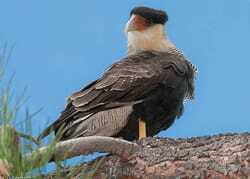 As human activity begins to diminish, the animals come out to play again, and for you to see! But a major benefit to the fall months is that you can catch the changing colors of the leaves. Vibrant reds and oranges clash brilliantly with the blues and whites of the mountains and lakes, making for some of the best viewing spectacles on Earth. Another bonus to making a visit to Patagonia at the “off” months of the year is that you’ll get a better deal and can plan closer to the date of your trip. For the more flexible and budget-minded traveller, both fall and spring are the better times to plan a trip to Patagonia. But however you choose to visit Patagonia, chances are you’ll be in for a spectacular retreat the likes of which you’ve never experienced. Read more about Patagonia’s Seasons, Climate & Weather to make sure you are fully prepared to book your trip during the best time to visit Patagonia for yourself!